Change the look of your guitar with relative ease with this genuine Fender pickguard. This contemporary pickguard has an eight-hole mount and is designed to fit Telecaster guitars. 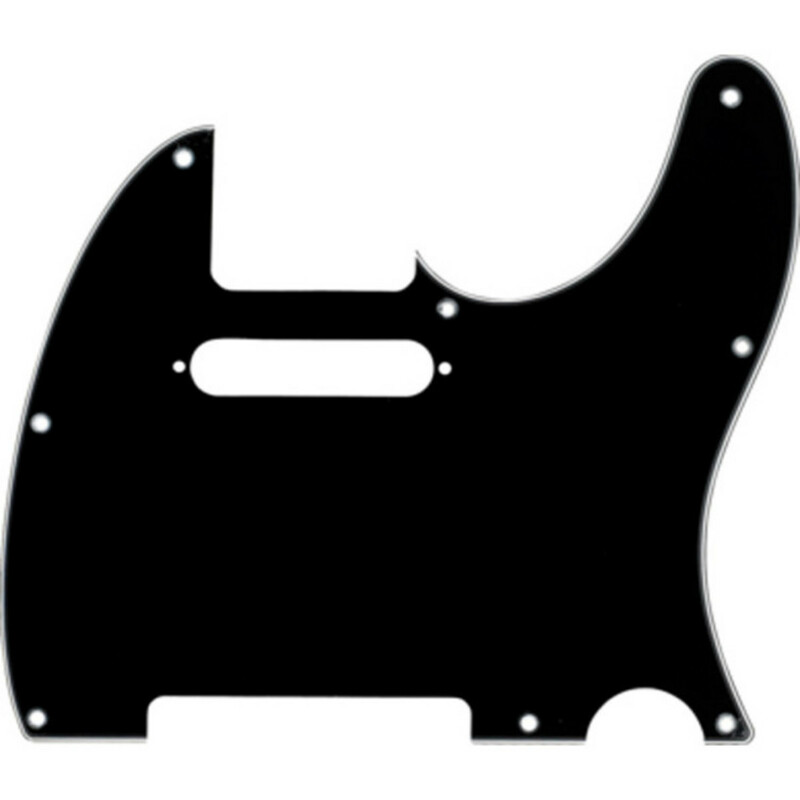 Including neck pickup mounting holes, this pickguard has a three-ply black/white/black finish.